The ACE Specialist reports to ACE Manager or other designated person by the school. To oversee the program of admissions of new students to the school. To assist with the school fair, open house and other events. To present the school to prospective students and parents, to help arrange the interview for students/parents and select the qualified families. To collect all materials and deal with XUEJI issues for all students. To represent the school at various gatherings and conferences. To maintain good relationship with students’ parents, or other relevant customers. To assist ACE Manager with other duties related to enrollment of students. To perform other duties as assigned by school whenever needed. Dehong BeijingInternational Chinese School is committed to safeguarding and promoting thewelfare of all the students in our care and expects all applicants to sharethis commitment. We follow safe recruitment practices which are aligned to therecommendations of the International Task Force on Child Protection. We holdourselves to a high standard of effective recruiting practices with specificattention to child protection. Allappointments are subject to an interview, identity checks, criminal recordchecks, and successful references. 德闳简介Introduction to Dehong上海徳闳教育信息咨询有限公司北京分公司是北京德闳学校的主办方。德闳学校是为中国学生量身定制，将中国基础教育的精髓和德威国际教育集团领先的教育理念有机结合的高标准国际化学校。学校旨在培养既深谙中华文化传统美德又拥有包容开放的世界情怀的未来公民。德闳学校的师资团队拥有多文化背景及丰富的教学经验，“学生为先，全人教育”是全体德闳人的教育理念和行为准则。Dehong Company,Beijing Branch is the host of Dehong Beijing International Chinese School. 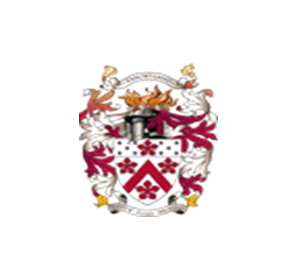 Dehong International Chinese Schools are designed for Chinese students and offer an academic programme comprising of the Chinese compulsory curriculum combined with the Dulwich College International educational philosophy and pedagogy. It aims to develop citizens of the world who understand traditional Chinese culture and are nurtured to develop an open, inclusive mentality. The teachers in Dehong International Chinese schools come from multicultural backgrounds and bring rich teaching experiences. Our core beliefs are that"students come first– they benefit from holistic education".“德闳”的校名取自于德威的“德”与容闳的“闳”。有着“中国留学生之父”美誉的容闳是毕业于美国耶鲁大学的第一个中国人，也是推动中国幼童赴美留学、实现教育救国的先驱。容闳的后人也是德威国际教育集团的创办人之一。The name Dehong is made up from the elements of Dewei(the Chinese name of Dulwich) and‘the father of Chinese overseas students’ Rong Hong(Yung Wing), who is the first-known Chinese student to graduate from Yale University. Rong Hong was also a pioneer in supporting Chinese children to study in the United States to assist in reforming their homeland. Additionally, a descendant of Rong Hong co-founded Dulwich College International.德威与德闳Dulwich College International& Dehong德威国际教育集团在亚洲四个国家的七个城市拥有十所学校，至今旗下各校的在读学生已超过9,000人。学生们取得了世界顶尖的学术成就，在体育和艺术领域也表现优异，这使得他们在毕业后得以进入世界各地的一流大学。德威国际学校的创始校——德威公学始创于1619年，是英国历史上最古老的私立学校之一。凭借优异的学术成绩、富有启发性的教学方式以及在教育方面的创新，德威公学赢得了极好的声誉。背靠拥有400年历史的德威公学和著名的德威国际教育集团，德闳整合人才优势和教育资源，加强对内和对外的合作关系，分享和交流成功经验。The Dulwich College International family of schools has grown to ten schools in seven cities and four countries in Asia. In 2018, nearly 9,000 students were enrolled and began their Dulwich College International experience. In addition to achieving academic excellence, students also participate in arts and sports programmes. Their academics and extracurricular activities provide experiences that put them one step ahead of many of their peers around the world.The founding school of Dulwich College International schools is Dulwich College. Dating back to 1619, Dulwich College is one of the UK’s oldest independent schools, and it has a long history of academic excellence, innovation and respect for tradition.The international family of schools benefit from the founding school's 400 years of academic excellence. Participating in the active network of exchange and development allows us to work together, leveraging our group's unique talents and resources to organise events, forge internal and external relationships and share experiences.德威姐妹学校Sister School of Dulwich College International德闳学校与德威教育集团旗下的所有学校均为姐妹学校。校际之间广泛合作密切交流，促进和激发创新精神和全球视野的培养，为学生成功打造出一个鼓励学术研究、重视创造能力、崇尚启发和拥抱多元化的社区。As part of the Dulwich College International(DCI) family, Dehong students have the opportunity to collaborate with their peers and benefit from DCI initiatives. These include the DCI University Counselling programme and a diverse range of events. Extensive cooperation between the DCI and Dehong family of schools promote and stimulate the cultivation of innovative spirit and a global vision, creating a community for students that encourages academic research, values creativity, advocates inspiration and embraces diversity.